Google tweaks search results on topics the company deems “controversial,” two Google sources revealed to Breitbart. 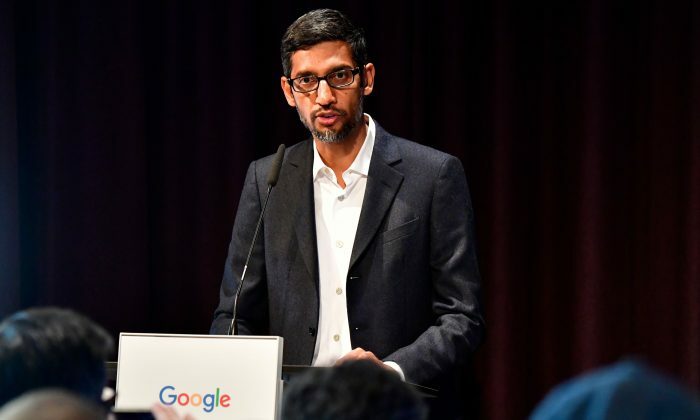 Sometimes, the company even changes the results manually—something its chief executive, Sundar Pichai, denied in sworn testimony. Among the singled out topics were abortion, gun-control activist David Hogg, the February 2018 An-148 Russian plane crash, the December 2018 Strasbourg terrorist attack, and even U.S. Rep. Maxine Waters (D-Calif.), according to an excerpt from the list and Google’s internal communications obtained by Breitbart, the right-leaning news outlet that has been breaking stories for months based on leaks from Google. Youtube, an online video platform, is run by Google. The Slate writer reported that the top search results “were almost all anti-abortion,” such as videos of Dr. Antony Levatino, an abortion specialist who became an anti-abortion advocate; a video of a woman describing her regret after an abortion; and a clip of conservative commentator Ben Shapiro. After her inquiry with Google, the search results began including more pro-abortion content. While Google products mostly rely on algorithms to shape search results, the company also engages in manual interventions, according to Daniel Aaronson, senior strategist for the Trust & Safety Product Strategy department at Google Search. “In extreme cases where we need to act quickly on something that is so obviously not okay, the reactive/manual approach is sometimes necessary,” he said in the discussion thread. Sometimes, Google also tweaks the search algorithms to give preference to results “using signals that we historically understand to be strong indicators of quality,” Aaronson said. Aaronson’s reference to culture as the arbiter of what is “okay” resonates with the accusations of political bias that Google and other tech companies have consistently faced. He was fired after writing a memo where he argued men and women have, on average, somewhat different abilities and preferences, and that Google should try to cater to those to attract more female employees. Yonatan Zunger, a former Google privacy engineer, responded by saying in a blog post that Damore’s opinion was so offensive that he would have had him escorted from the offices by security. Google and other online platforms have repeatedly pledged to support free speech, but in practice, they’ve been moving away from it, according to a Google internal research document dated in March 2018 and later leaked to Breitbart. Even while Google denies having a political bias, it may be prone to censor in a biased fashion unintentionally. A majority (55 percent) of Americans who identify as Democrats are “in favor of the United States becoming more politically correct and like when people are being more sensitive in their comments about others,” while 76 percent of Republicans are “against the country becoming more politically correct and [are] upset that there are too many things people can’t say any more,” according to a Nov. 28–Dec. 4 NPR/PBS/Marist poll (pdf). Since online platforms commonly rely on users to report content violations, the mechanism appears to favor those who want to police speech. Update: The article has been updated with a response from a Youtube spokesperson.